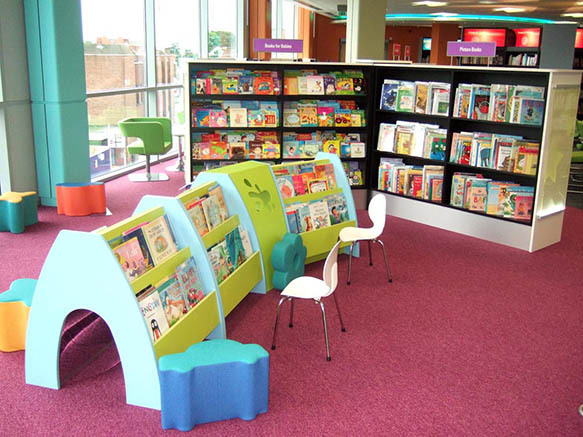 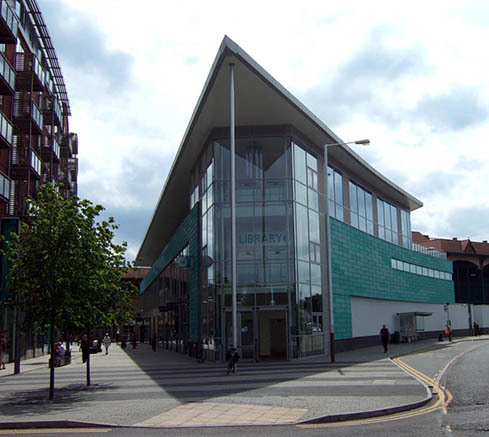 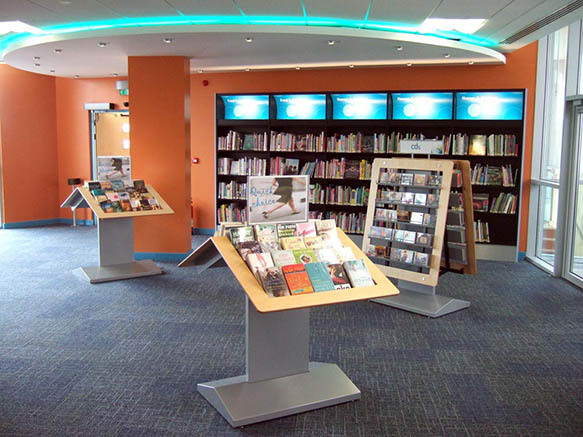 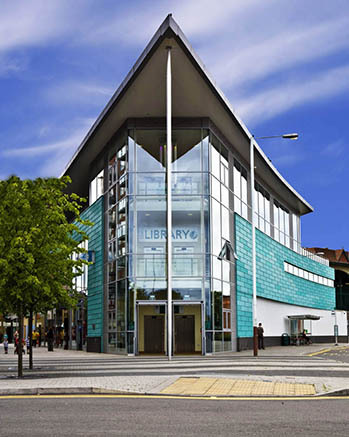 Walton Library is a new main town library located in The Heart, a high profile shopping centre. 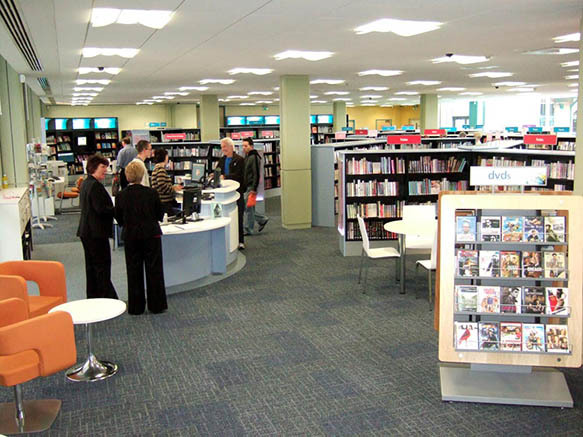 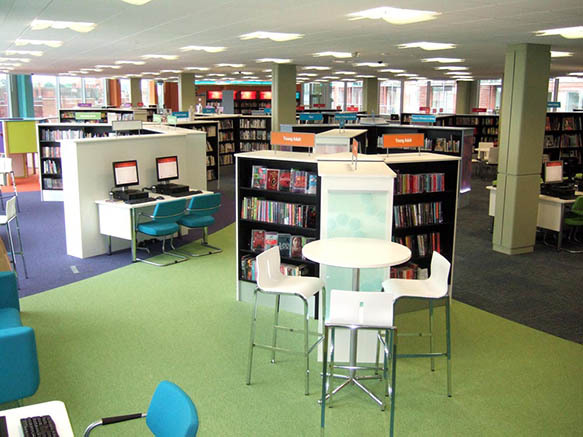 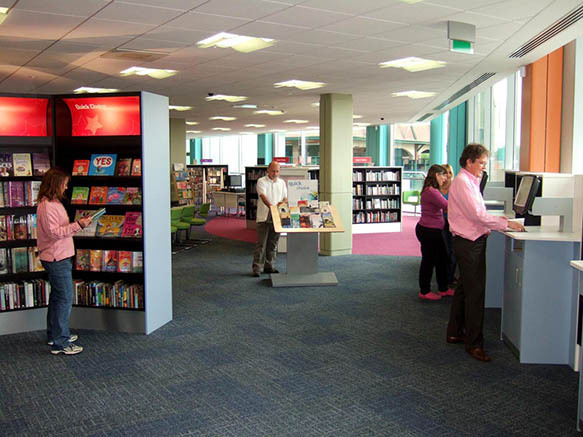 The library is self-service and offers access to 26 public access Internet terminals, Laptop hire, 3 meetings rooms for community and business use, study areas and a large quick choice area. 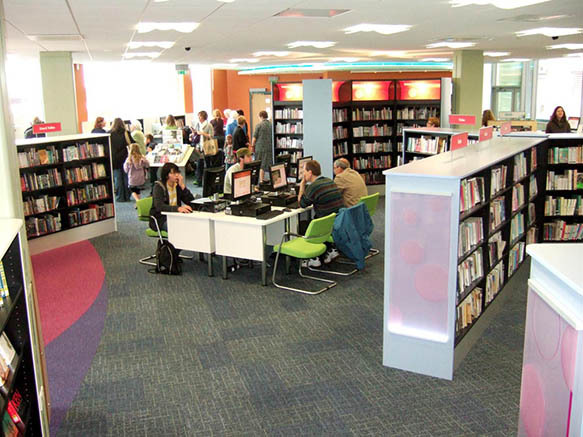 A grant from the Robert Phillips Trust was awarded for the specific creation of stimulating children's and young people's areas with modern furniture, playstations, listening posts and cafe style seating.